David Lawrence Jr. retired in 1999 as publisher of The Miami Herald to work in the area of early childhood development and readiness. He is president of The Early Childhood Initiative Foundation. He leads The Children’s Movement of Florida, aimed at making children the state’s top priority for investment and decision-making. He is a member of the Governor’s Children’s Cabinet and twice chaired the Florida Partnership for School Readiness. In 2002 and 2008 he led successful campaigns for The Children’s Trust, a dedicated source of early intervention and prevention funding for children in Miami-Dade. He is the “founding chair.” In 2002-3 he chaired the Governor’s Blue Ribbon Panel on Child Protection, and in 2011 he chaired a similar panel for the Secretary of the Department of Children and Families. In 2002, he was a key figure in passing a statewide constitutional amendment to provide pre-K for all 4 year olds. He is a board member and former chair of the Early Learning Coalition of Miami-Dade and Monroe. The David Lawrence Jr. K-8 Public School opened in 2006. 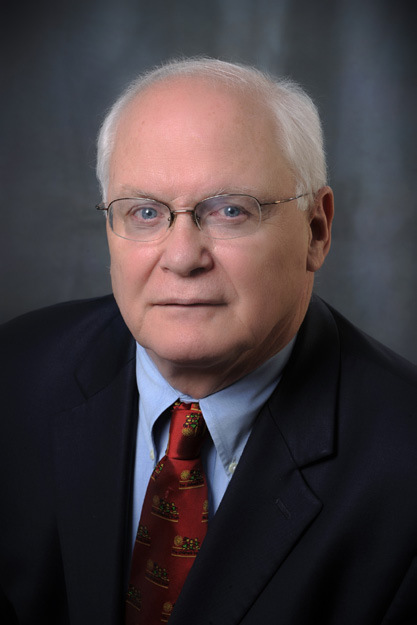 An endowed chair in early childhood studies is established in his name at the University of Florida College of Education. He is a graduate of the University of Florida and named “Outstanding Journalism Graduate” and subsequently from the Advanced Management program at the Harvard Business School. In 1988, he was honored with Knight-Ridder’s top award, the John S. Knight Gold Medal. His 13 honorary doctorates include one from his alma mater, the University of Florida. His national honors include the Ida B. Wells Award “for exemplary leadership in providing minorities employment opportunities” and the National Association of Minority Media Executives award for “lifetime achievement in diversity.” His writing awards include the First Amendment Award from the Scripps Howard Foundation and the Inter American Press Association Commentary Award. He chaired the national Task Force on Minorities in the Newspaper Business, was the 1991-92 president of the American Society of Newspaper Editors and the 1995-96 president of the Inter American Press Association. He was inducted into the Florida Newspaper Hall of Fame in 2010. He and Roberta, a master’s graduate in social work from Barry, live in Coral Gables and have 3 daughters, 2 sons and 5 grandchildren. His honors include: “Family of the Year” from Family Counseling Services and “Father of the Year” by the South Florida Father’s Day Council. He has been honored as a Miami Today Living Legend as well as with the Governor’s Shine Award for Inspirational Teachers. His 2014 awards include the Bob Graham Center for Public Service “Citizen of the Year,” the Greater Miami Chamber of Commerce M. Athalie Range Miami Pioneer for Progress Award, the James W. McLamore Outstanding Volunteer Award on National Philanthropy Day, and the Cervantes Outstanding Educator Award. Nationally, he has been honored with the American Public Health Association Award of Excellence, the Lewis Hine Award for Children and Youth, the “Children’s Champion” award from the National Black Child Development Institute, the Fred Rogers Leadership Award from the Grantmakers for Children, Youth and Families, the Terri Lynne Lokoff Child Care Advocate Award, the CNC (Cuban American National Council) Lifetime Achievement Award, The National Center for Victims of Crime for “extraordinary leadership and service on behalf of abused children,” the National Association for Bilingual Education for “building early literacy skills for all children,” and a Spirit of Fatherhood Hall of Fame inductee by the National Partnership for Community Leadership.